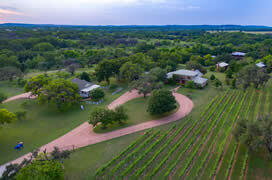 Water and wildlife, comfort and romance… a unique log cabin village on 26 rolling acres in the midst of our own vineyard, offers exquisite lodging with a taste of Switzerland in the Texas Hill Country. Barons CreekSide – SWISS owned and operated – is truly THE romantic getaway. Our accommodations, 12 hand-crafted Swiss log cabins and 4 unique family homes, surround a continuously-flowing creek. 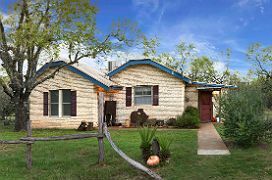 And all just two minutes from Main Street Fredericksburg and THE gateway to Wine Road 290! Our newest addition, The Club, features a bistro, wine bar, and live music in an eclectic indoor/outdoor setting. 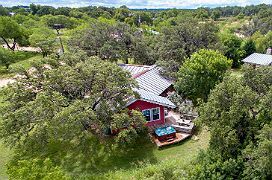 Unwind along the gorgeous “mountain creek” on 26 tree-covered, Hill Country acres. 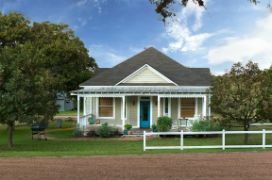 Explore, watch for birds and butterflies, go fishing…or just relax in a rocker on your private porch. Ask about our exclusive in-cabin Couple’s Massage! 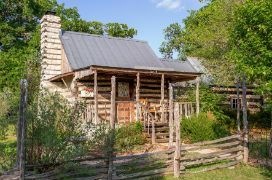 The cozy, romantic, secluded BARONS LOG CABIN was built circa 1870 and moved to Barons CreekSide from Greensboro, Kentucky (pets and children welcome). 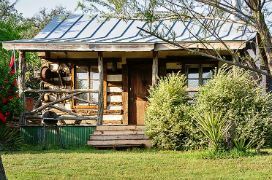 This cabin is very private and includes a wood burning fireplace and a porch with rockers. 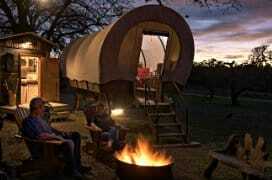 The ultimate “glamping” experience at Barons Creekside! King bed and twin bunks, private luxury bathroom facility just steps away. 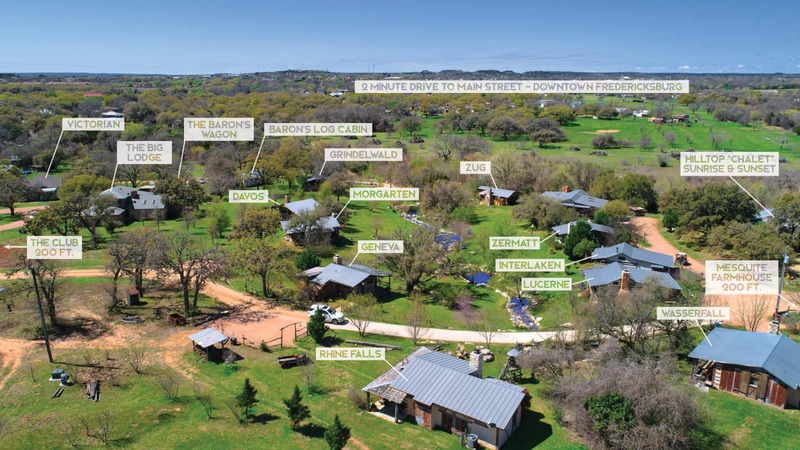 Check out our newest and most unique yet accommodations. 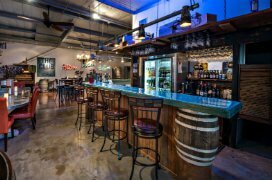 Wine Bar – Tasting Room – Bistro – Live Music Venue right here on site! Click for appearance schedule and all the details.